Helen Payson Sebring was born in Milton, Massachusetts. She was the only child of Alma and Carl Payson who encouraged her to read, write and explore. She did just that. She met her husband to be, Fred Sebring, in Harvard Square when she was 16 and he was 21. After graduation and World War II, Helen and Fred began their adventure together which included six children, ten grandchildren and eight great grandchildren. Family was everything to Helen and Fred. That and traveling the world. Helen lived to be 90. She kept traveling and writing throughout those 90+ years, with a little bit of writing almost every day and one last trip to celebrate hers and Fred’s 69th wedding anniversary. More Stories from My Neck of the Woods. 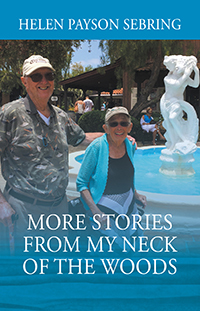 These stories are about the author’s children, stories written for and from the grandchildren, adventures with family and travel with her husband Fred. Helen began writing as a child – first poems and then short stories. 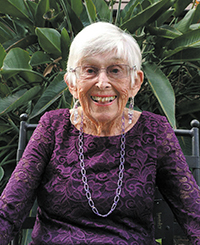 Her first book was published when she was 85. She always hoped there would be another book. Here it is.